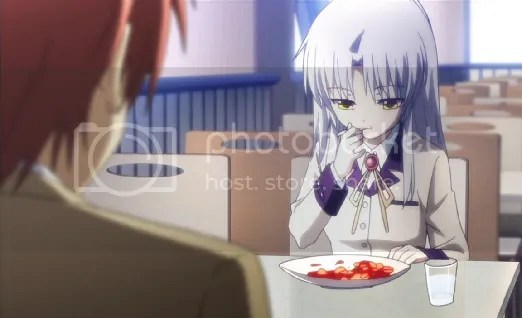 This entry was posted in Anime, Random and tagged angel beats, anime, mapo tofu. Bookmark the permalink. 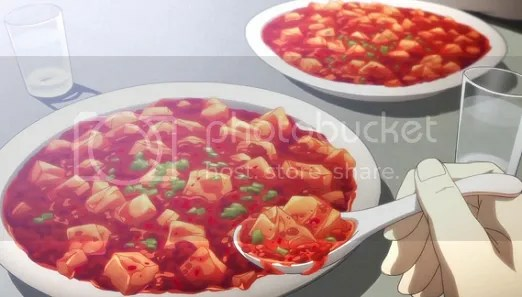 Mapo Tofu..I’ve tried it before..and for my dish, it was spicy. Very spicy. I haven’t tried any since then. My lips were swollen (cuz of the spiciness if you know what I mean). Never heard of that song, “Friday”. Is it really that bad? Hmm…I’m really curious..
Lol, would you try it again if it was in the flavor of Mild or something? 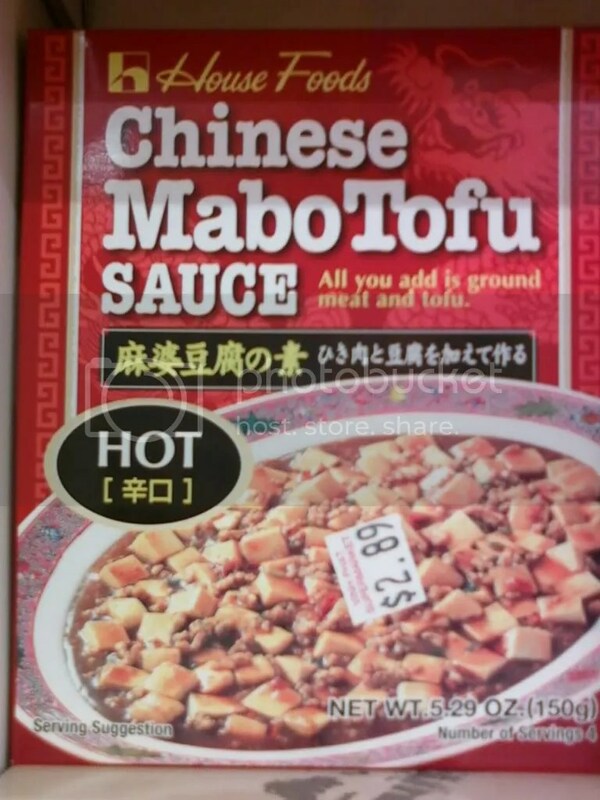 Did you actually eat the entire dish even though it was too spicy? I can only imagine the pain that you went through. Hmm..if I'm feeling a little adventurous I'd give it again. Mild, please. Hah, the hot weather made it worse, huh? Lol, I wonder if Mild would be too much. LOL FRIDAY. Haha that’s all anyone in my school has been singing for the past weeks, it’s terrible isn’t it? Really? I think I’ll try it soon then. I’ve been hearing that the non-spicy one is awesome. I can’t take spicy stuff and I can barely eat Hot Cheetos… haha. I’m weak like that. It’s just horrible. T-T Now, every time I hear the word Friday, I think of the song… Lol, and my friends want to piss me off so they said: ‘ Tomorrow’s Friday~~ [sang the Friday song] *turns to me* I’ll sing it to you tomorrow in class since I sit next to you, haha’. >3> I hope she forgets and doesn’t sing it. Lmao, the lyrics are funny and the song is somewhat catchy but it’s just her voice. that seems like a lot of work. is it mandatory for everyone? i wish my school had summer school, then i be like you, having extra room for classes that i want to take. Yeah o.o but I think it’s more of the studios voice, since they auto-tuned it or something like that…. Oh well, it’s mandatory, but I rather take it since it’ll make my school schedule during the year less hectic. Dark choco is bitter. T-T I don’t like bitter stuff either. I would like to hear her voice without the auto-tune. Are you planning on taking fun classes next year? Then have you heard of her singing the national anthem yet? o.o It is good? I heard it. It was pretty good. haha, if you had a cool teacher, then you probably wouldn’t sleep even if the subject is boring. Lol, I guess weird spicy stuff isn’t for you then. DON’T DO IT. Lol. I know you’re tempted but resist that urge. It’s for your own good. hah.